Thanksgiving is my very favorite holiday. It's all about delicious food, gathering with family and friends, and giving thanks for all that we have in our lives. It's a day to remember that though things might not be perfect, there are still many blessings that me must not take for granted. Thanksgiving used to be mine, where for decades I was the one roasting a turkey, cooking like mad, and making sure I had enough plates, wine glasses and clean tablecloths to accommodate everyone. It was crazy, expensive, and stressful. And it was some of the happiest times of my life. But after thirty five years of marriage, my husband and I split up, and it was the end of all those lovely Thanksgiving dinners. The end of a marriage sometimes fills like the end of everything you know that is familiar, and you can end up feeling lost, alone, and asking yourself how did you get into this particular kind of hell. It takes time, a long time to come out of that tunnel and begin to feel like there is hope for a new life. I'm getting there. And this Thanksgiving we will gather at my daughter's table to give thanks for all that we are blessed to have. I still have my five fabulous kids, four sweet grandchildren, and hopes for a much happier future. 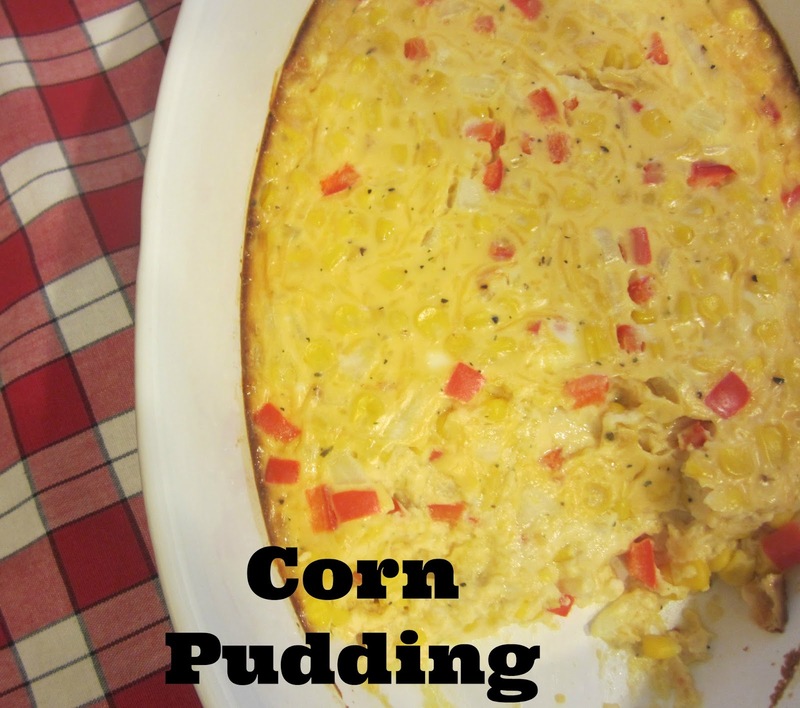 I'm not cooking the turkey, my son-in-law does that, but I will be making this delicious corn pudding. It's creamy and tastes great, and is much fancier than serving plain corn. It's one of my favorite recipes to make for Thanksgiving. I did publish this last year, and it was quite popular, so I thought I would share it again. I know many people have the very same menu year after year, but I think changing things up a bit can be fun. So give this recipe a try if you are a corn lover. Preheat oven to 350. Lightly grease 2-quart baking dish with olive oil and set aside. In a medium bowl, toss together corn, bell pepper, onion, cheese, flour, mustard, salt, and pepper. In another bowl, whisk together eggs and milk. Stir egg mixture into corn mixture and pour into prepared baking dish. Bake until set, about 40 minutes. Thanks for sharing. I pinned to make for Thanksgiving.